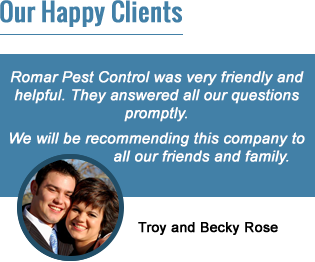 Romar Pest Control of Kearney, Nebraska offers a number of residential services for you and your family. We take pride in protecting your home from pests and rodents. Specializing in termite control, Romar Pest Control is dedicated to providing homeowners in Kearney, Nebraska with the peace of mind that comes with complete and lasting freedom from pests. Since 1974, Romar Pest Control has had the privilege to provide home and business owners in Central Nebraska with exceptional pest control and industry leading termite services. We have built our dependable reputation by providing all of our customers with affordable, effective pest control and customer focused services. 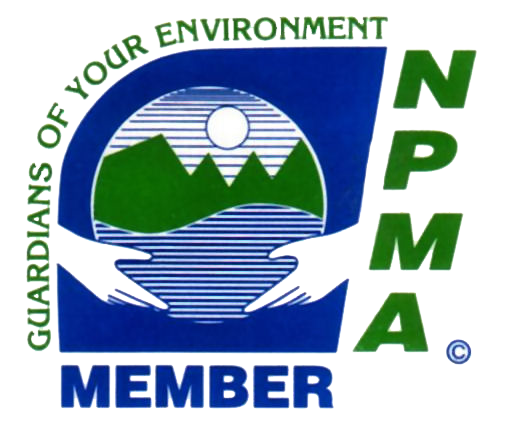 We are a locally owned and operated company with over 65 years of combined pest management experience and all of our technicians are licensed professionals who specialize in residential and commercial pest control, rodent control and termite control services. Romar Pest Control offers trusted pest control and termite inspection services in Kearney, Grand Island, Hastings, Lexington, Holdrege, Minden, Franklin and Ravenna Nebraska. We are dedicated to providing results for all of your pest control concerns, and guarantee that we have the solutions. All of our services implement an integrated approach to home pest control, focusing on inspection, extermination and future exclusion. No pest control project is too big or too small for our dedicated technicians so whether you currently have a pest problem or want to ensure the prevention of an infestation, Romar Pest Control is the pest control company you have been looking for. For you convenience we offer various pest control treatment plans, including eco-friendly options, all of which are designed to break the pest breeding cycle and remove the infestation. Our environmentally friendly pest control services are safe for your family and pets and we guarantee your satisfaction on every treatment. Romar Pest Control focuses on residential and commercial pest control solutions, offering the most up-to-date pest management services. We have years of experience controlling ants, spiders, cockroaches, silverfish, bats, crickets, fleas, flies, ticks, bed bugs, bees, wasps, termites and rodents including rat control and mice removal. We are always available to answer any questions or to schedule a free consultation. We can offer quick response service for a termite inspection or bed bug inspection request. Give us a call today to schedule a pest inspection and we will be happy to resolve all of your pest control concerns.